“The Prague Spectator” is ARCO Guesthouse‘s new regular feature on Prague’s history and culture: News, views and reviews as well as stories from the past and present. This time, we are especially proud to present our first opera review, as it was written by one of our regular guests, a lover of Prague and the opera. 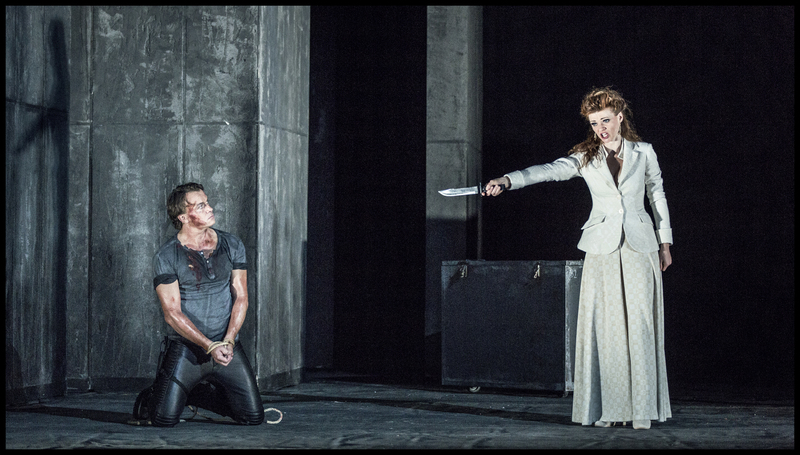 Passionate characters and sublime singing are the keynotes of Bellini’s Norma. The drama unfolds from the lives and passions of red blooded human beings. When Pollione (sung by Timothy Richards), the soldier commanding the Roman Army occupying Druid Gaul, falls in love with Norma (Marie Fajtová) and then with her priestess Adalgesa (Jana Horáková Levicová) the outcome is inevitable. The two highlights of the opera are Norma’s Casta Diva and the duet between Norma and Adalgesa. Marie Fajtová’s rendition of Casta Diva brought the house down. It is only a slight exaggeration to say that the raw enthusiasm of the Czech gentleman seated next to me could have managed this on his own! The duet was equally magnificent. The two Divas reached every high note with perfection. The effect was pure joy. One could barely hope for two such superb sopranos, but what a bonus that they were joined by the outstanding tenor voice of Timothy Richards. To say the evening was made for me by these three artists in no way detracts from the rich singing of all the other gifted performers. The passions and soul searching of Pollione, Norma and Adalgesa filled the theatre with the most glorious music. Norma‘s honest confession that she broke her sacred vow and bore two children to Pollione seals her fate. At this point Jiří Sulženko as Norma’s father Oroveso comes into his own and the beauty and purity of the singing raises the characters and audience above the tragic situation and enables all to join in the cathartic ending. The endless curtain calls clearly showed that no-one wanted the evening to end. ← Prag im November: Deutsches Theaterfestival!